1907 was, to be honest, not a very exciting year. There was little international conflict other than the dispatch of US troops to Honduras to fight another round in the “Banana Wars” on behalf of US commercial interests. The French occupied Casablanca but only because it was a great location for a movie. Revolutionaries did not overthrow any governments or assassinate any politician of note and commercial and scientific developments were few. Even natural disasters took a holiday except for an earthquake or two. However all was not entirely calm, especially on the domestic front. 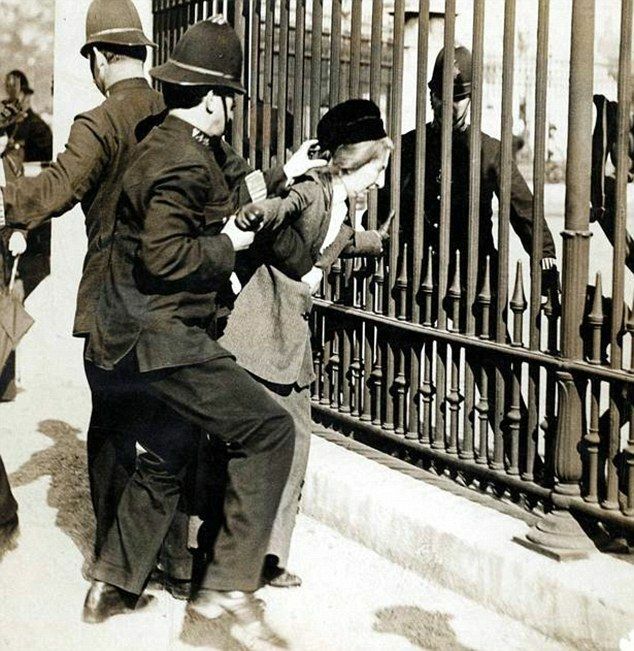 In England the suffragette movement made nearly daily headlines and upped the ante considerably on February 13th, 1907 when a frustrated group of several hundred women stormed Parliament. Days before the King had given a speech in which it was expected he would address the demands of the suffragettes but instead His Majesty did not deign to even mention the issue of a woman’s right to vote. Furious, the leaders of the movement marched on Parliament and made it clear they intended to address Parliament from inside the House of Commons, not from the street. Mounted Bobbies tried to break up the march but the women regrouped after each charge and a number broke through the police cordon and entered the Commons. The battle went on from early afternoon until 10 at night. 60 women were arrested and sentenced to jail, most for a couple of weeks although the leaders served longer sentences. As with most overreactions to legitimate protests the jailed women became martyrs and the movement became stronger. Finland and Sweden, where the clear Nordic air allowed a better view of the future, accepted the inevitable and gave women the right to vote in 1907. 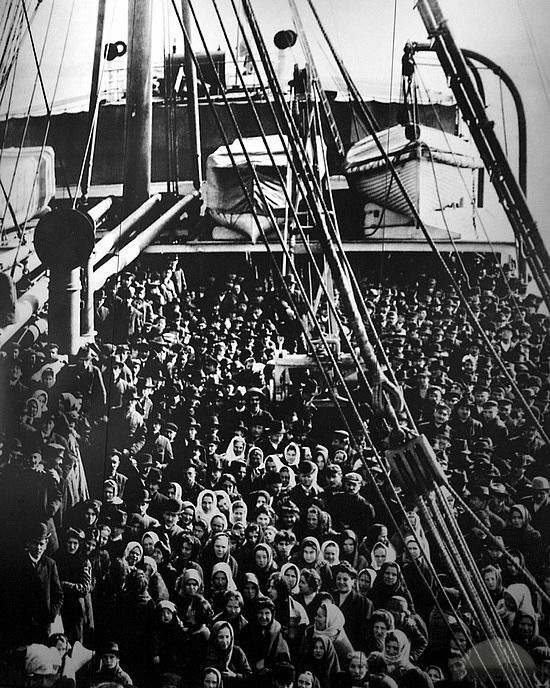 “I recognize some of the 755 Calais women who signed the 1917 petition and suspect many of our readers will be familiar with these names. Miss Josephine and Miss Vesta Holmes were the sisters who lived at the Holmestead and owned Holmes Cottage and gave both of these buildings to the people of Calais. Mrs. Harold Murchie was the wife of the man who would become Chief Justice of the Maine Supreme Court. Mrs. Cora Dudley, my grandmother, was married to Herbert, the Washington County Attorney. Miss Edith Beckett was the Calais librarian. Ethel McPherson and Elspeth Larner were teachers. Mrs. W. N. Miner was Dr. Walter Miner’s wife, and we all knew Walter Miner Moriasey. Mrs. W. H. Bunker was wife of another doctor as was Ethel Fraser. Mrs. Frank Beckett was Uncle Frank’s wife and Helen Hanson was a lawyer. Mrs. Howard Eye was a police officer’s wife and Emma McCully’s father was the minister of the Congregational Church. Two of my neighbors signed, Harriette Wharf and Thelma Saunders, both women who believed in independence. 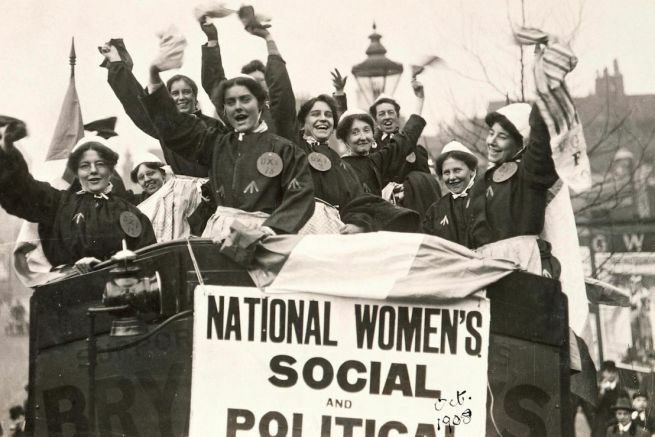 Soon the 19th amendment passed the US Congress and on August 18, 1920 when Tennessee became the 36th state to ratify the amendment women could finally vote. In other world news in 1907 Marconi inaugurated wireless service between Ireland and Newfoundland, the Boy Scouts were formed in England and Tsar Nicholas of Russia issued an edict increasing the power and authority of the nobility and moneyed classes and further diminishing the prospects of the peasants and workers. The price of this unwise decision was ultimately the lives of his entire family. 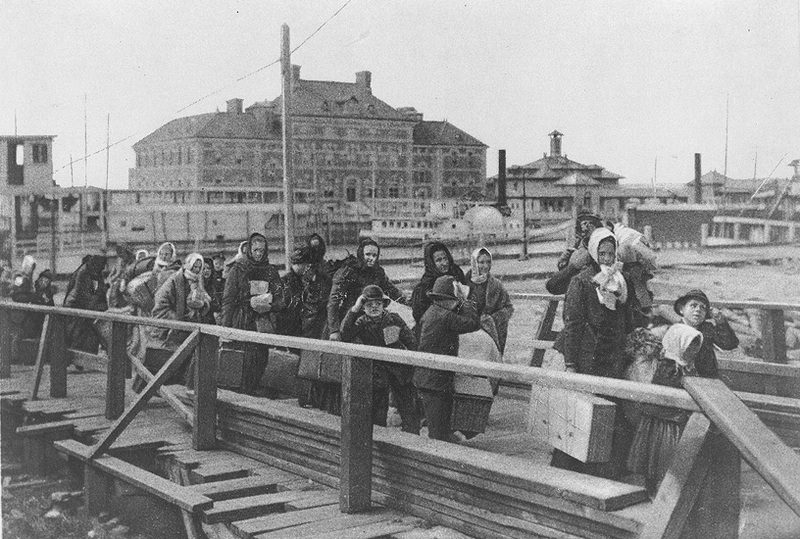 On one day, April 17 1907, immigration authorities processed a record 11,745 immigrants through the entry halls of Ellis Island, pictured above. Earlier that year the first ball had dropped at Times Square, beginning a tradition which continues to this day. Oklahoma became the 46th state in 1907 and 8% of Americans had electricity in their homes. The United States had 51 men on list of the 100 richest men in the world including JD Rockefeller, William Rockefeller, Andrew Carnegie, WW Astor and JP Morgan, all in the top ten. On the list at number four was Tsar Nicholas of Russia. 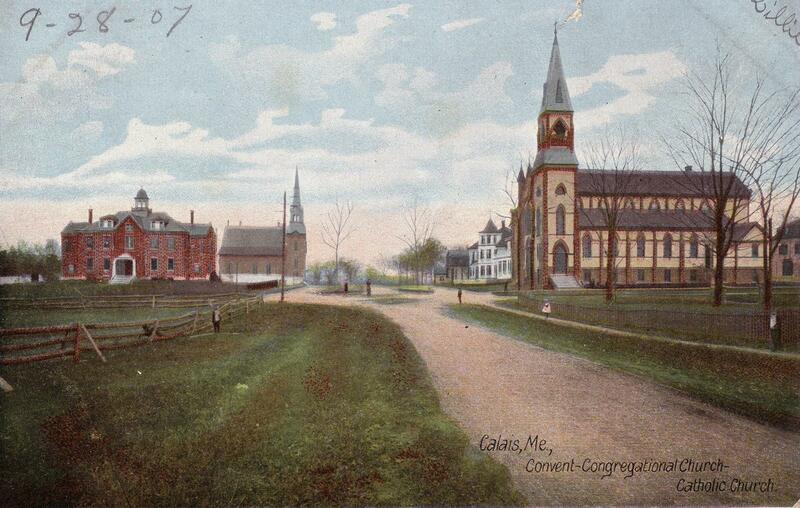 The view from the corner of Washington Street and the Avenue was dominated in 1907 by two churches and the Catholic convent all of which are now gone. 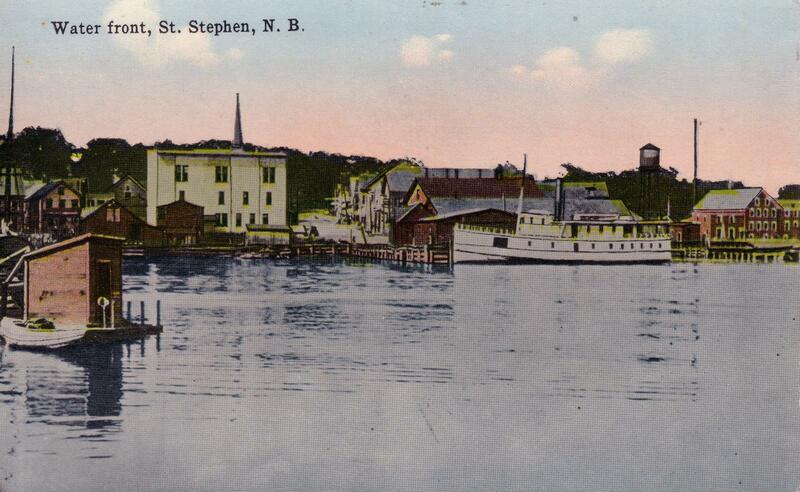 The steamship Viking still serviced the Town of St. Stephen. It put in at St Andrews and the islands on a regular schedule and carried the mail to Grand Manan. It is shown above in 1907 at the town wharf at the bottom of King Street. On the US side the Henry Eaton plied the river with daily stops at Robbinston, St. Andrews and Eastport. 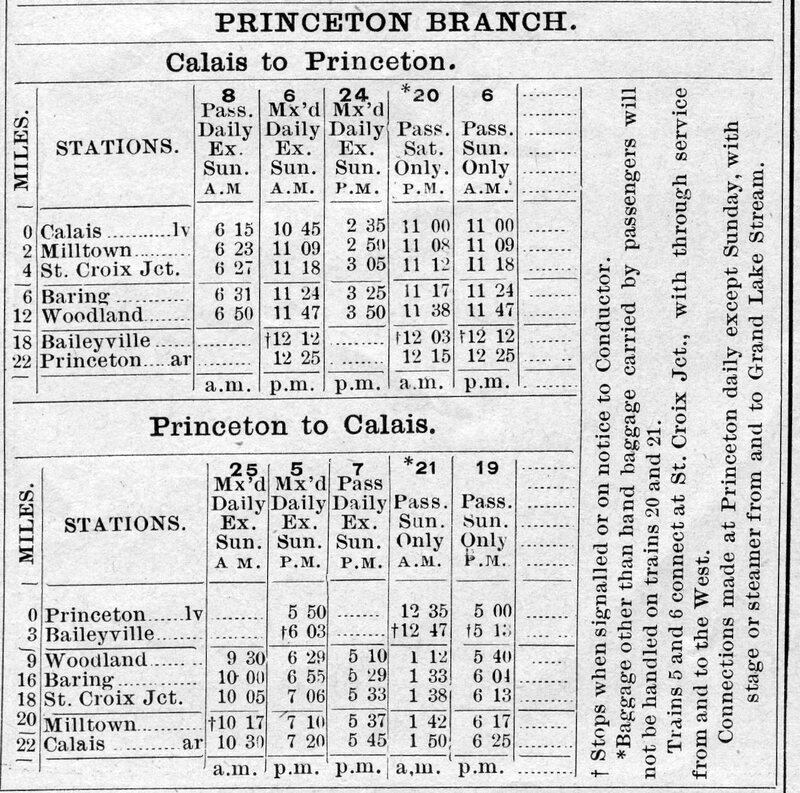 he Washington County Railroad provided daily service between Calais and Princeton. It wasn’t fast by today’s standards but it was reasonably inexpensive. The trip took about an hour and a half and your rail car would have been pulled by a locomotive like the one pictured above. 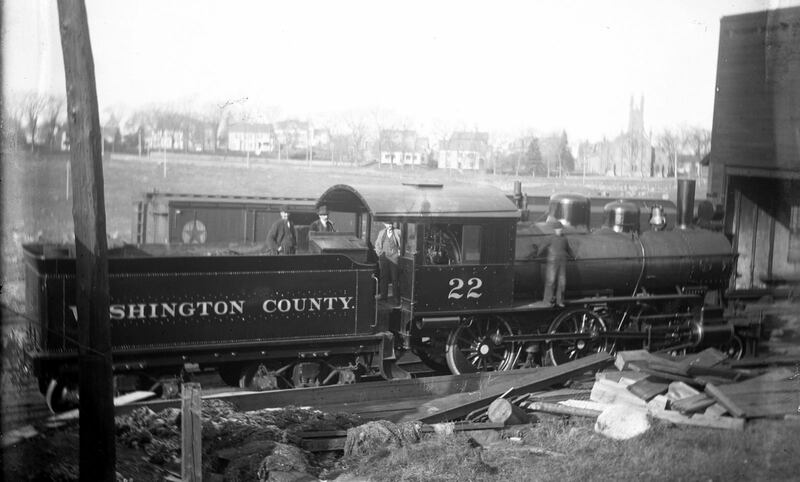 Note the train stopped on the way to Princeton at both Woodland, also known as Sprague’s Falls and Baileyville. These were two separate stations quite a distance apart. In fact the Baileyville station was much closer to Princeton than to Woodland-Sprague’s Falls. 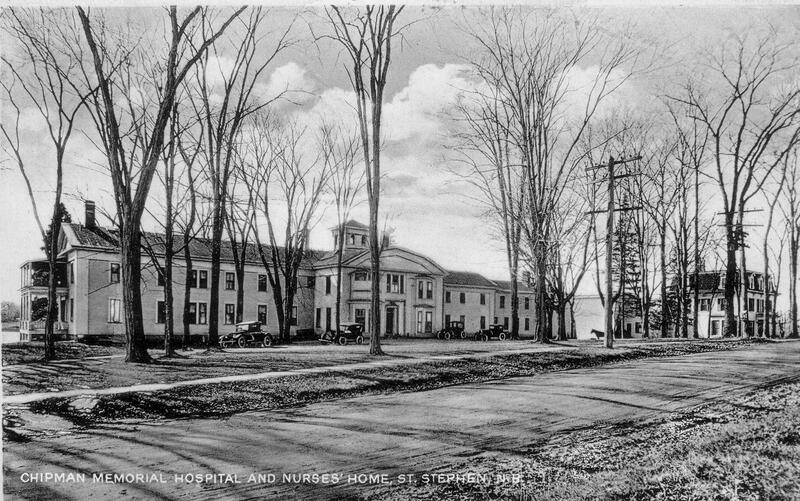 The Chipman Hospital in St Stephen, founded in 1902, reported in January of 1907 that had treated 176 patients in 1906, including 48 from St Stephen and 43 from Calais. It also treated many from other communities in Charlotte and Washington County. The average patient paid $10 a week for care at the Chipman hospital although employees of the Cotton Mill paid less and a few paid more. According to the report “Including those in the hospital at the beginning of the year there were 185 cases under treatment of which 133 were discharged cured, 28 improved, 2 not improved, 1 not treated, 14 died in the hospital and 7 remained under treatment at the close of the year”. Moving pictures were still in their infancy in 1907. The visual quality of the films was terrible, there was no sound other than the piano player trying, often unsuccessfully, to follow the action and the film broke and projector bulbs exploded throughout the show. Yet people loved the medium and couldn’t get enough of the “moving pictures”. We liken this to the early days of the “dialup” internet when waiting several minutes for a page to load, or not, was common but we were still amazed and thrilled if and when it finally appeared. 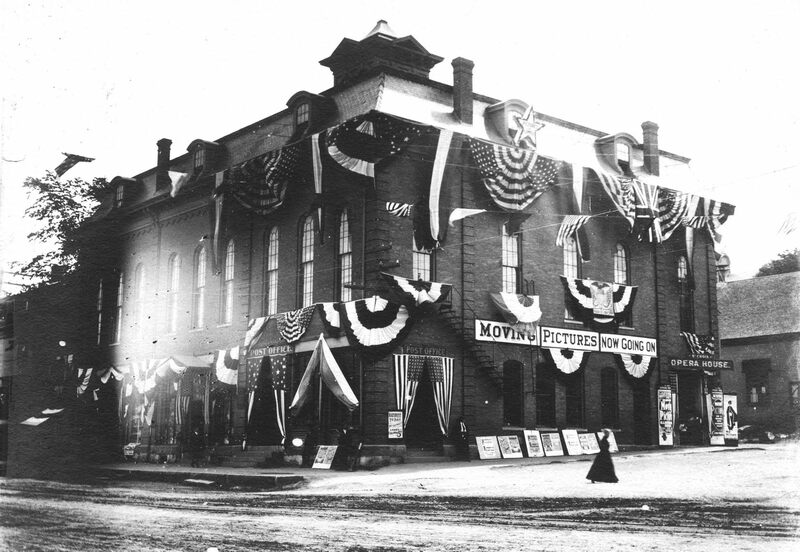 The proprietors of the Opera House tried to assure their patrons that “The pictures are very clear and do not injure the eyes as in days of old, for the machines and films are of the very latest make…” Admission was 10 cents, “including seat” and 5 cents for matinees. Other local news included the usual reports of people killed on the railroad tracks such as James Stuart of Calais on February 7th who was “lying on the tracks perhaps insensible.” According to the Advertiser “When free from liquor, Stuart is said to have been a hard-working industrious man, well-liked by those by whom he was employed…”. Fireworks called “cannon crackers” resulted in dead animals who tried to fetch them when thrown and mutilated citizens such as James Johnson from MilltownNB who touched a match to a cannon cracker which “instantly exploded, blowing three of his fingers from his left hand and lacerating and dislocating his little finger and thumb. Half of the thumb nail was found embedded in his face by Dr. Miner to whose home he was taken for surgical assistance.” There were two reports of two different Calais men attempting to “run the border” with a horse and wagon by “whipping up his horse” when the Customs Officer ordered him to stop. The contraband was dressed turkey in one case and sheepskins in another. Smugglers were later much more successful with souped up cars- one or two horsepower hauling a loaded wagon was insufficient to outpace even a moderately fast customs officer. An amusing incident from 1907-a streetcar loaded with commuters was bound from Calais to Milltown when it slowed and stopped at the corner of Washington Street. The conductor and motorman worked feverishly to diagnose and repair the streetcar as the riders fumed. According to one passenger finally “they took up the traps in the floor of the car and got down on their hands and knees and pawed around but found nothing amiss, at least they said so, probably they wouldn’t have known anyway.” Just then a small boy coming along Washington Street sang out “Say, your trolley’s off”. The cars were electric and powered by a trolley that ran along the elevated electrical wires. When the trolley came off the wire the streetcar was “unplugged”. It’s where the saying “Off your trolley” originated.